What Are Web Hosting Services And Domain Hosting? What is a web host exactly? So your web designer has quoted you an affordable price to build your website. You’re really happy, and are eager for her to get started. Then she mentions something that you weren’t necessarily expecting…something called web and domain hosting services. And it is going to entail your designer paying a regular fee on your behalf to a web host. Although this is something your web designer can sort out for you, (so there’s no need to worry on that score), you might have been wondering: What is a website host, do I need this service, and what am I paying for? The answer is a bit techy, but I’ll keep the answer as simple as I can. When a website designer makes your web pages, these are basically made up of files and folders similar to the ones you have on your own computer, except they contain special web code. They need to be stored somewhere central, and then transmitted to the world wide web. A web hosting service provides that storage (on something called a server), and makes your website available to be seen by the general public. So in answer to our question “What is a web host”…it is a company that provides this server space for a website. On top of this, the web hosting provider also offers domain hosting services for your web domain. First though… what is a web domain? A web domain is the identity of your website online. In effect it is your web territory, your own unique domain over which you preside. By getting a unique web domain name for your project or business, you create a new online identity that is yours and yours alone. As an example, if you were launching a website on weight loss, you might want a domain name like weightloss.com. Bear in mind though that you can only use it if it is available. A lot of them have already been taken by other people, so you may have to be creative, choosing weightlosstoday.com or whatever. That is why you (or your web designer) will have to find out if your domain idea can be registered before you can start using it, by checking with the hosting company. 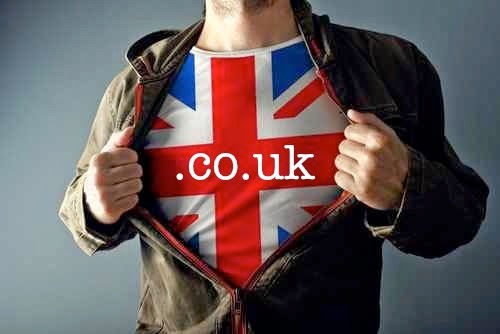 On your journey to finding out what is a website domain, there are a few things you should know about domain extensions: These are the ending part like .com or .co.uk. Each country has its own set of letters at the end. There are a few types of domain extension, which are useful for different purposes. These days there are several weird and wonderful extensions, such as .mobi and .info, neither of which are much used or respected. There were even recently introduced some new type of extensions like .photography and .tattoo (although, how popular these will prove to be, remains to be seen). Generally speaking though, if your website is intended for a global audience, then choose .com (if you are any kind of information site or a business) or .org (if you are a charity or other organisation such as a choir). If, on the other hand, if your website is intended for a UK audience, then choose .co.uk or .org.uk (using the same criteria as above). What is the difference between hosting and web domain hosting? By now, if you have read this far, you will have realised that the generic term “hosting” usually applies to web hosting, to the provision of server space for web pages. So it might be a bit confusing to be told that domain names also need their own hosting! So exactly what is domain hosting? Simply put, domain hosting is the storing or housing of your domain (weightlossguru.com). Both services are provided by a web hosting company, and both must be paid for quarterly or yearly to keep a website online. These two often get confused with each other, so I hope I’ve made things a bit more clear! Many beginners find themselves in a pickle because this hosting business seems so confusing and looks daunting. Of course…if you’re lucky enough to have a website designer who deals with all that on your behalf, it does makes the whole thing more manageable. But it is good to know what they are talking about when they mention hosting costs…and to get a sense of what it is you are paying for too!